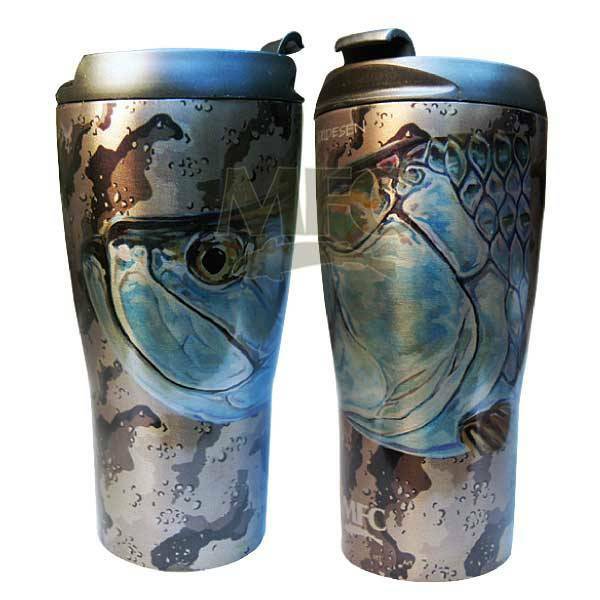 Montana Fly Company's Vacuum insulated coffee mugs are made from food grade 304 stainless steel. With a true vacuum between the steel walls virtually no heat can escape or enter. 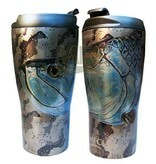 It will keep your beverage hot or cold for an easy 4-8 hours. The lids are made from food grade non-leeching PP#5 and "snap" into place making them completely liquid tight to reduce spills on rough rides in the vehicle or boat. Pick your favorite image to turn heads every time you take a drink.